There is less than a month and everybody is wondering how to organize the perfect Valentine’s Day. Are you prepared to make this day really special? A moment converted into a legend! This day is all about love and other “things” love naturally involves. And the evening has come: tête-à-tête, candles, music, dinner and we already have a romantic ambiance. But romantic is not enough. For dinner pick some aphrodisiacs and make it look really tasty. Aphrodisiacs are natural products which evoke feelings like sensuality and stimulate intense pleasure and romantic experience. For example, sweet basil, ginseng, honey, ginger, nuts, grapes, cinnamon, carrots, chocolate, hot pepper, mushrooms are all vegetable aphrodisiacs. You can make a delicious desert using some of these ingredients. Forget chocolate and orange, try chocolate and basil, a delicious combination for the desert. Also you can try carrots with cinnamon or grapes, nuts and honey. This is all for the sweet dinner part. You can improvise a soup with carrots and basil or some sauté with mushrooms, carrots and hot pepper. 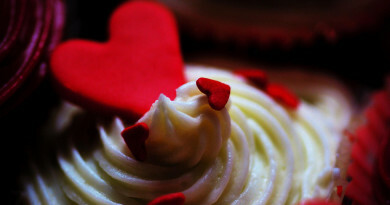 There are a lot of various tasty combination for a delicious Valentine’s Day dinner. Use your imagination. Of course you can have some other ingredients to help you create a unique gastronomic project. However, bear in mind that this day is not about eating, it’s about emotions, taste and desire. My advice is to eat with moderation and, of course, don’t forget the desert (it can really become the “cherry on top”). And do not forget about the smell…the dishes you prepare have to smell really appetizing. This simple smell of the food is sometimes enough for reviving the sexual appetite. As for drinks, you may have some wine or Champagne. Alcohol is being considered a fake aphrodisiac, but it also has some effects. Drinking alcohol, people become more relaxed by reducing the inhibition factor. But, attention! Do not exaggerate. A couple of cups of wine or Champagne attractively combined with olives or fruits are enough. Quoting Shakespeare in Macbeth, “it provokes the desire, but it takes away the performance”, so be careful. Choosing the right place is another key factor for a successful evening. It has to be very private and intimate, warm and cozy. Of course you can have dinner at a fancy restaurant and then go to some intimate place, but it is not the same. 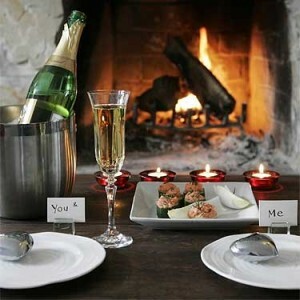 The impact is about inter-playing dinner made by you, the place, the ambiance, the perfect music, aromatic candles, flowers etc. This is one of the most important factors when trying to have a perfect Valentine’s Day. A relaxing massage could be the right ingredient for a perfect Valentine’s Day. Don’t try this if you are at your first or second date! You will need flavored oil, sole rhythms (considering the preferences) and a pair of skillful hands. It is very important what you are wearing and how you smell. Biologically speaking, the attraction between men and women is a hormone interaction process. The fragrance you are using is turning to advantage the specific smell of each person. The basic idea of the perfume is all about seduction and sensuality. I don’t know if all of you know this, but memories also have an olfactory function, so choose the right fragrance for the perfect Valentine’s Day. Use your imagination, adapt it to the beloved person and create a perfect Valentine’s Day romantic dinner; Have fun! All the tips are really superb. I would say if someone follow these, he/she will definitely win their partner’s heart.